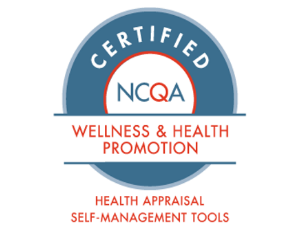 Wellsource has been awarded Wellness and Health Promotion (WHP) certifications from the National Committee for Quality Assurance (NCQA) for our Health Appraisals and Self-Management Tools. This is our sixth time consecutively meeting NCQA’s requirements across a span of ten years. “Earning NCQA certification for ten consecutive years is a reflection of our continued commitment to our mission of helping people enjoy long, healthy lives and organizations reduce healthcare costs through high-quality products,” stated our CEO, Chris McReynolds. NCQA certification is considered the “gold standard” for wellness and health promotion products. It is a rigorous process that involves countless hours of input from our product, legal, IT, and client services teams. Many companies choose to forgo this certification due to the investment of time and resources required, but here at Wellsource we value high-quality health assessments and self-management tools that can be backed by the toughest critics. There’s a reason that one of our core values is excellence. We continually strive to exceed customer expectations and improve our products. NCQA certification proves that we do this. Their standards are set exceptionally high to encourage regular evaluation and improvement. We are pleased our WellSuite® IV Health Risk Assessments and Self-Management Tools stand up to the intense scrutiny applied by NCQA experts. Organizations who are undergoing their own NCQA accreditation review can save considerable time and effort by using Wellsource products. 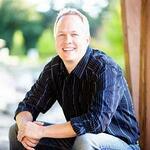 We are certified for WHP 5 and 7 for Health Appraisals and Self-Management Tools. This assists clients with Population Health Management (PHM) 4, Elements A through G (health appraisal standards) and Elements H through K (standards for self-management tools). Learn more information about our health appraisals and self-management tools.